View through the Shop Window: Whats in a name? Following a recent discussion with a pal this topic came up which, I feel, causes quite a bit of confusion for runners and needs a bit of +Amphibian King Galway clarity applied. Taking the first category Technical Running shoes these are again sub divided into Neutral or Guidance (further into Support and Motion Control). Kayano 18 - Old shoe showing build. The chief make up of these shoes will generally be an outsole made of rubber, a midsole composed of several shock controlling and cushioning components and cushioned comfortable upper wrapping the foot. The principle distinction between a Neutral Runner and a Guidance Runner is that there will be a wedge of high density foam (or similar structure) on the medial side (instep) of the Guidance shoe. The Heel to Toe* drop is not a critical factor in Technical Running shoes but over the past couple of seasons there has been a tendency for shoe companies to offer lower H-T drop shoes as an alternative to the traditional 12mm. 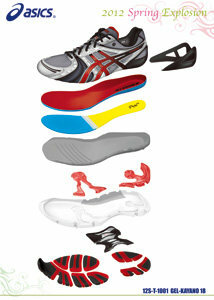 *Heel to Toe is the difference in the midsole depth of cushioning comparing the heel of the shoe to the toe. It is not a difference based on the visible height of the midsole as seen on the shelf, for example. The effect of reducing the H-T drop is a change the mechanics of your running style, enabling a more efficient transfer of the foot from the heel landing through the midfoot and ultimately off the toes. 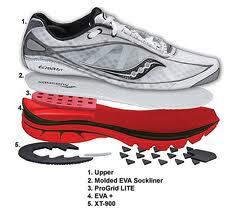 The drop is rated 12, 10, 8 & 4 ususally, though some brands (such as Inov8) work 12,9,6,3 & 0. Taking on the grey area of Minimalism there is a natural association with Barefoot running (which may or may not actually be 'barefoot') which is inherent in the intention of natural running. 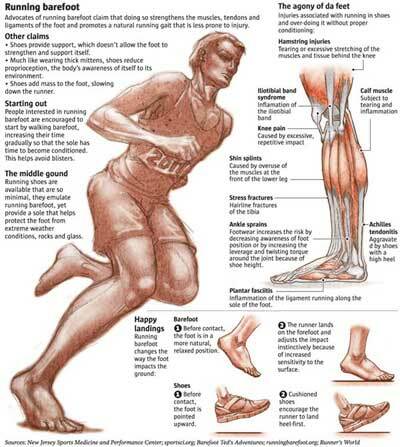 Low drop, further develops the forefoot landing, loading, lever and spring off mechanisms in the foot. Structurally neutral means no implied guidance, control or other effect is imparted on the natural movement and felxion of your feet. This along with being 'flexible and segmented' ensures that your feet 'read' the surface your are running on, proprioceptive feedback from your feet trigger muscular and skeletal development and adaptations to the mechanisms of natural running. 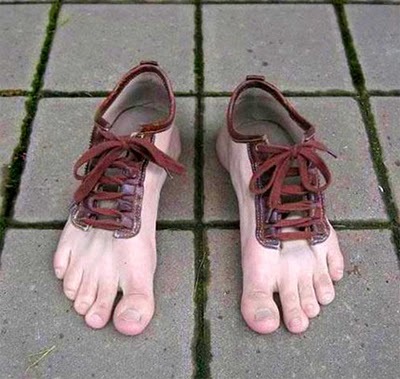 One of the key things across all types of footwear for me is that you should be able to forget that it exists and run with no inhibitions, allow your body and feet to relax and just go with the flow. Nowhere is this more important than in a minimalist shoe. Racing Flats are often confused with minimalism. It is quite easy to understand why this is when you take an abstract look at the H-T drop. Most racing flats are 4-6mm and lower and have a thin outsole and midsole so are visually quite similar to some brands of minimalist shoes. However, for me, that is where the comparison ends. Racing flats are for racing, minimalist shoes are for adapting to a more natural running gait. Racing flats are designed for going fast. Reduced H-T drop (relative to their Technical counterparts) but not necessarily as low as minimalist shoes. 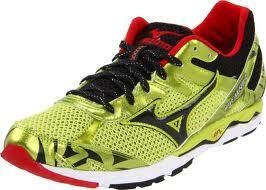 Lower profile again relative to their Technical brothers (& sisters) - helps with weight reduction = faster feet. As with everything, common sense needs to be applied to choosing minimalism or racing flats. I have a piece on the +Amphibian King Galway facebook page about Experiencing Minimalism that may be of further help to anyone considering transtioning. Of course, we are here to help you through the decision making process too.